I made these for Wooden Wand and Simon Joyner for their Living Room tour in May 2014. They are both one-sided transparency picture discs. 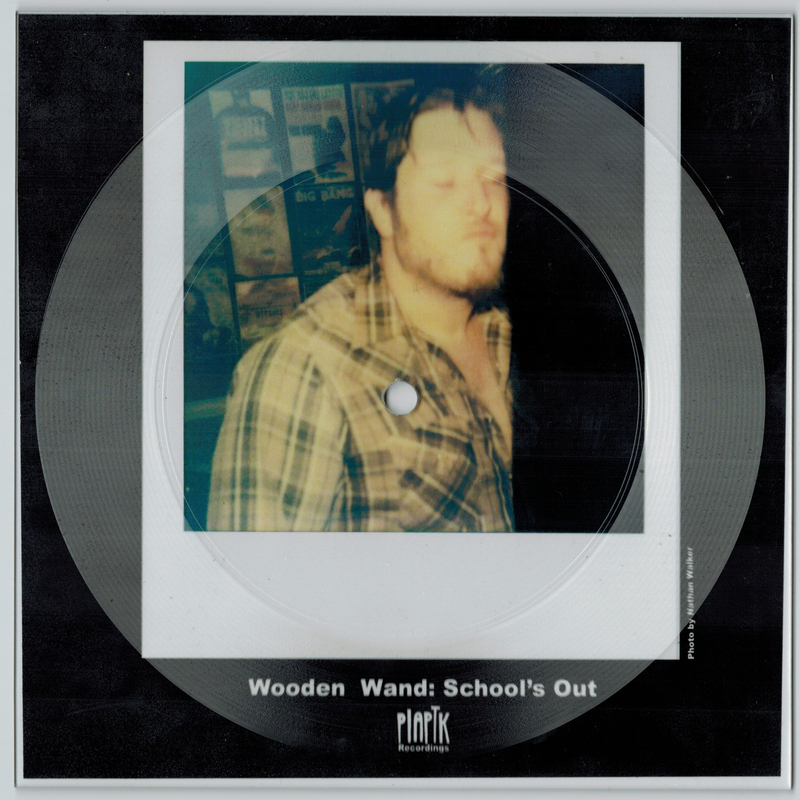 Wand's features a polaroid photo (taken by Nathan Walker) and the tune School's Out. 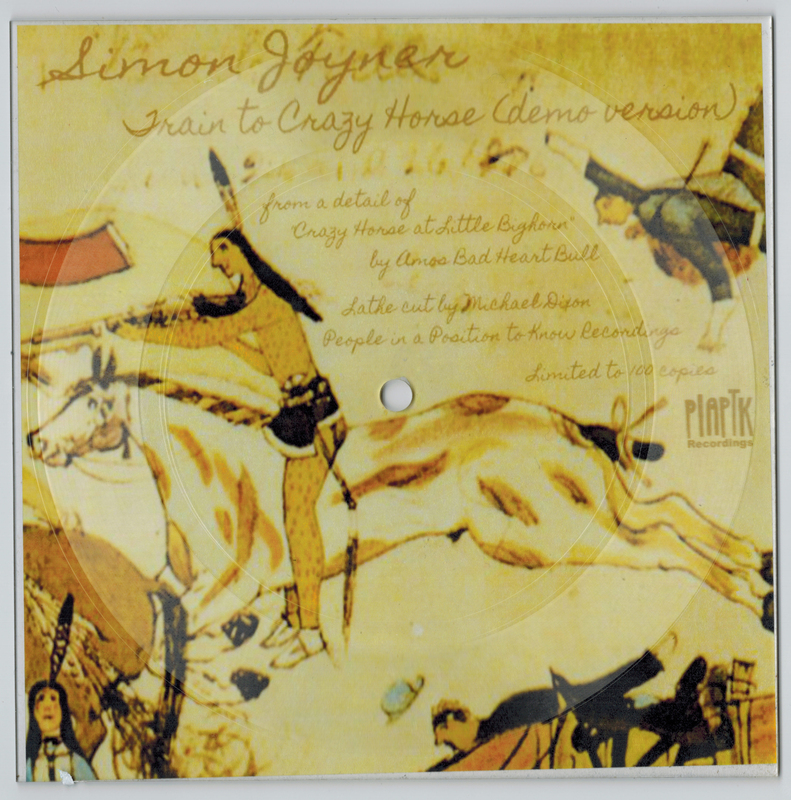 Simon Joyner's is a song called Train to Crazy Horse. We made 100 of each, but the bands took 70 of them to sell on tour, so PIAPTK only has 30 of each to sell.